Windows 10 was released back in July 2015 which Microsoft has promised to update regularly. While the Windows 10 upgrade was provided free for the Windows 7/8/8.1 users. This new operating system supports most of the old hardware. The minimum requirement for Windows 10 32-bit version is 1GB/16GB and for 64-bit it is 2GB/32GB. PCs with Windows 10 are increasing rapidly and about 21.88% Desktops & Laptops are currently running Windows 10 as their operating systems.”Windows 10 is the new Windows 7″. Windows 10 has now got a start menu filled with apps which are updated from Windows 8.1. We have seen some pretty good apps like Groove Music, Video, Camera, Calendar in Windows 10. Microsoft have earlier committed to streamline these apps with Windows 10 Mobile. Combining both Windows 10 Mobile and Windows 10 we are getting some excellent features like message and phone notifications through Cortana. Cortana now works like a charm on both PCs and Mobiles. But Microsoft got a work to bring Cortana to other regions and languages which are still untouched. Unlike earlier versions of Windows where users have the option to disable the updates. In Windows 10 it is gone! however, Enterprise users can defer the updates while in other editions it is mandatory to install the updates. Most of the important drivers can be updated through Windows update but there are also many drivers for which updates are available. 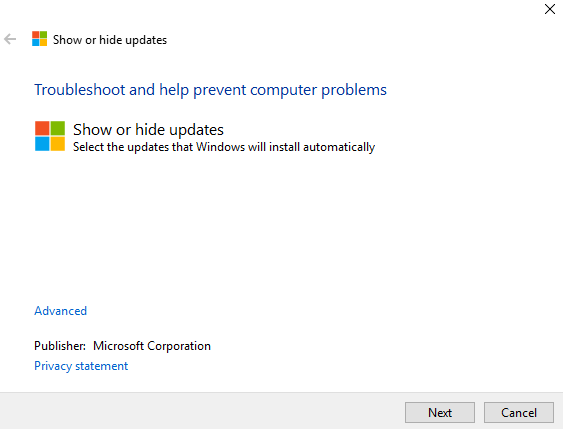 To find the driver updates users can get an online tool in which allows users to show or hide any specific update in the Windows Update list, this tool also provides a list of updates for your drivers. Find those drivers in Device Manager. In Device Manager they are named differently but you can find it easily. Most of the Drivers will be from System Devices. In this way you can avoid searching for driver updates in different websites. Some of the important drivers you should update are Graphics, Audio, USB 3.0, USB 2.0, Intel Management Engine etc.